While I was waiting for my machine quilting thread to arrive, I decided to make a small quilt with the remaining fabric from the Frog quilt. The disappearing nine patch pattern seemed like a good pattern to showcase the frogs. 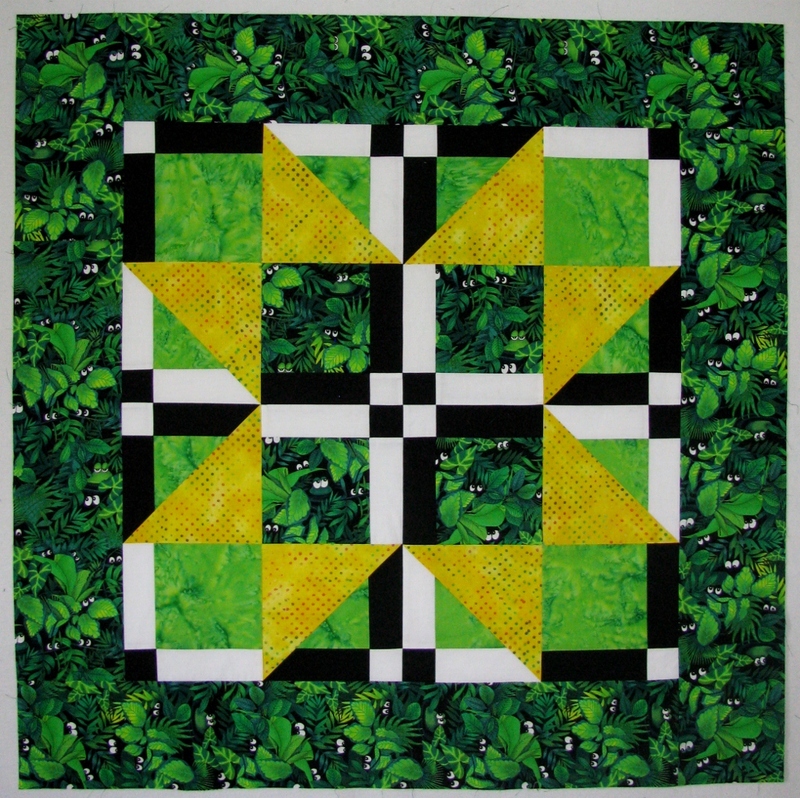 The disappearing nine-patch pattern was all the rage at our quilt guild a couple of years ago. I became curious as to who had invented it, so I did some sleuthing and discovered that it was Nancy Brenan Daniel with her book Slice ‘Em & Dice ‘Em Quilts. The pattern I settled on was Large Blue Star from her book. This quilt top measures 40″ square and was completed on Sunday afternoon. I really like the addition of the yellow fabric for the star points. The quilting thread arrived on Monday and it only took 45 minutes to complete the quilting. I will reveal the completed Alphabet quilt in the next post.